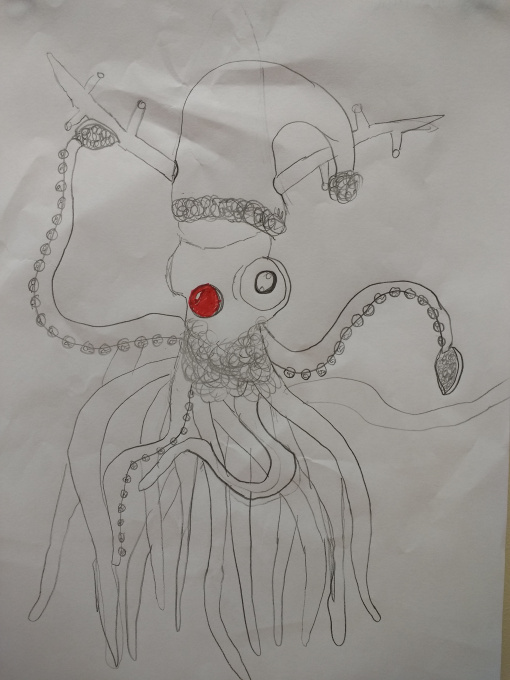 Today, Mila and Louisa brought great rapture and delight to the face of one of our year 6 TAs by creating a wonderful and innovative depiction of the now (almost) famous ‘Christmas Squid’. Rumour has it that Mrs Richards (our very lovely and indomitable art teacher) is so taken with the idea that it may now indeed be a contender for the theme of this year’s school Christmas card. Of particular note are the little jingly bells (rather like those that fell out of Marcus’s audible ball during a vigorous game of ‘crickfoot’ in 6K today) where one would normally expect to find suckers. Arguably, the red nose is the clear ‘pièce de résistance’ but who could fail to be amazed by the pure craftsgirlship and obvious planning which enabled such a pair of antlers to spring from the page (and through the Santa hat) so vividly. 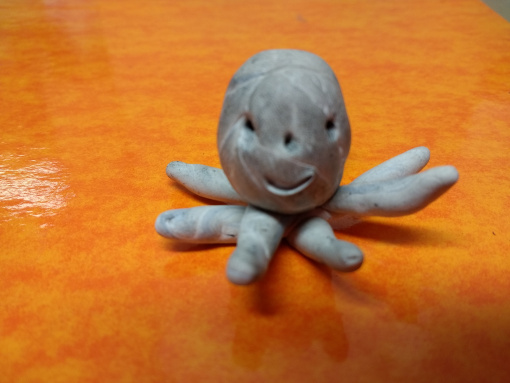 The original masterpiece is now white-tacked to the wall of ‘cephalopod corner’ (just east of the fourteenth pile of apparently random paperwork on the right hand side of Miss Kounnou’s desk) next to Carmela’s octopus (see below – itself a replacement for Henry the white-tack snail who met an awkward and untimely demise in Amelie’s clenched fist). You can learn more about the anatomy of the giant squid by watching this clip featuring the one and only Dr Clyde Roper – from the Smithsonian National Museum of Natural History in Washington D.C. Here you can follow Dr Roper’s exciting quest to find a living giant squid. When he made this video, no-one except fishermen had ever seen one alive! If you have still more time on your hands (and you have permission to access YouTube) you can dare to play Bill’s ‘Real or Fake’ game with a photograph of a beached giant squid – but please, no cheating now!